BEHRINGER NOX Series DJ Mixers are built to connect directly to your computer and take your music straight into the digital realm. In an instant, these mixers allow you to record and play any digital music file with your PC or Mac computer without the need for any special drivers! Plus we’ve included the infinium "contact-free" VCA Crossfader, our legendary XENYX mic and premium-grade phono preamps, and beat-syncable FX for years of flawless performance. Whether you’re throwing multiple elements into the mix, or just keeping it simple, there’s a USB-ready NOX Series mixer that’s ideal for you. The NOX606 packs a whopping 6 channels, the NOX1010 has five, the NOX303 has three, and the NOX202 and NOX404 each have two channels. All NOX Series models feature super-smooth channel faders and the infinium "contact-free" VCA-controlled crossfader for the utmost in reliability and smooth audio performance. 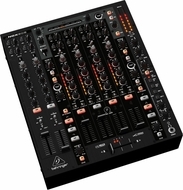 The user-adjustable crossfader curves let you quickly adapt to various mixing styles. 2XCOPY: Makes a copy of the signal, which is delayed by a defined time. TAPE ECHO: A simulation of the echo effect that occurs between two tape reels, which has a warm, slightly decayed sound. ECHO: A more modern delay effect, which is very useful for juggling beats and emphasizing musical phrases. FLANGER: A flanger is a wave-like effect that modulates the signal. PHASER: A sweeping phase shifter effect. It is similar to a flanger, except that it is enharmonic, producing a more “swooshing” sound. 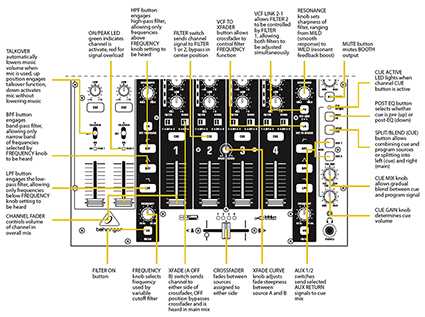 LP and HP FILTER: A Low Pass filter cuts out any frequency above its parameter settings. A High Pass filter cuts out frequencies below its parameter settings. AUTO PAN: Automatically moves the signal from one side of the stereo image to the other. 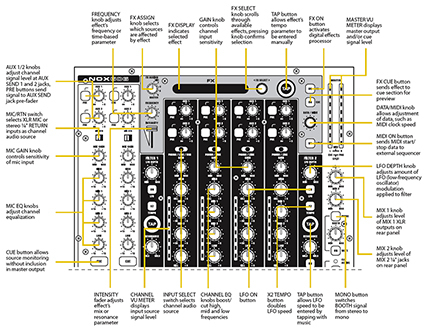 VOCODER: Creates a robot voice sound straight from the early days of electronic music. REVERB: This is a classic effect that adds space and air to the sound. REV REVERB: Reverse reverb.LMT+DIST: Band-limited distortion creates a tight, compressed and distorted sound to any signal. 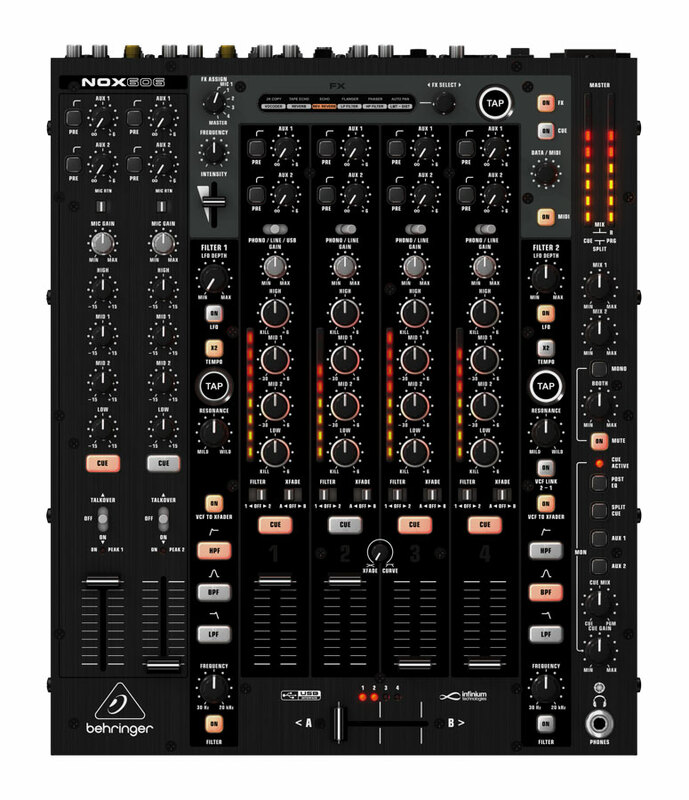 The full-featured NOX606 was designed for the DJ who wants everything right at his/her fingertips. With enough inputs to handle a mic, two turntables, two CD players and a USB device (MP3 player or computer), the NOX606 is ready for anything. 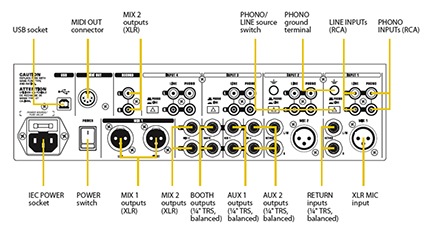 In addition to the beat-syncable FX processor (which is fully assignable), two VCFs (Voltage Controlled Filters) and two LFOs (Low Frequency Oscillators) can be assigned to any channel or crossfader side for mind-blowing filter and modulation effects. And if still want more, all channels feature two switchable pre-/post-fader stereo AUX sends, so you add outboard FX for unbridled creativity. 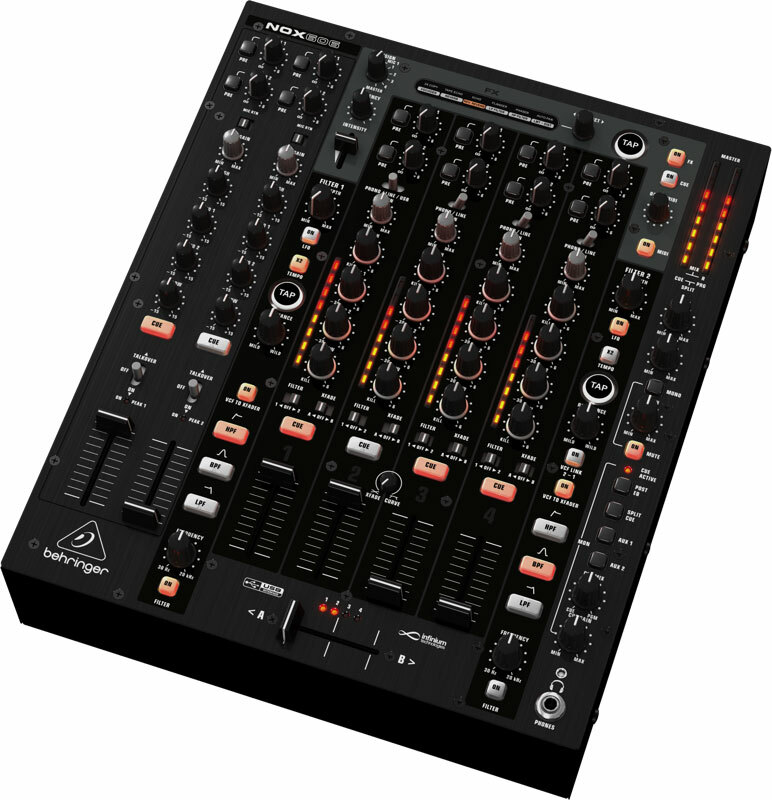 Sophisticated cueing and monitoring, 4-band EQs on all line channels, and an amazing array of output options make the NOX606 the heavyweight champion of DJ club mixers. 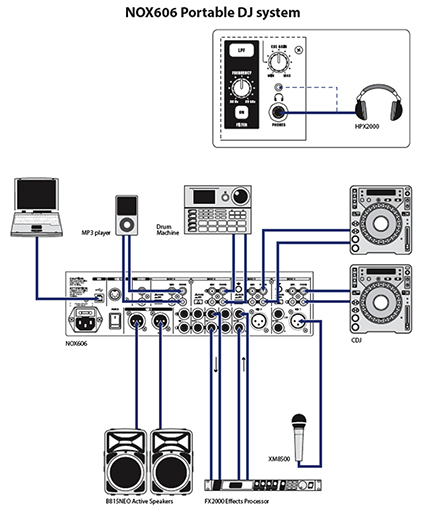 There’s even a "music only" output for a secondary listening zone or for recording your sets without the microphone!